sushi | Eat. Read. Ask. Do. Be. You may remember from the Spring that when Restaurant Week comes to town, I try to take advantage. 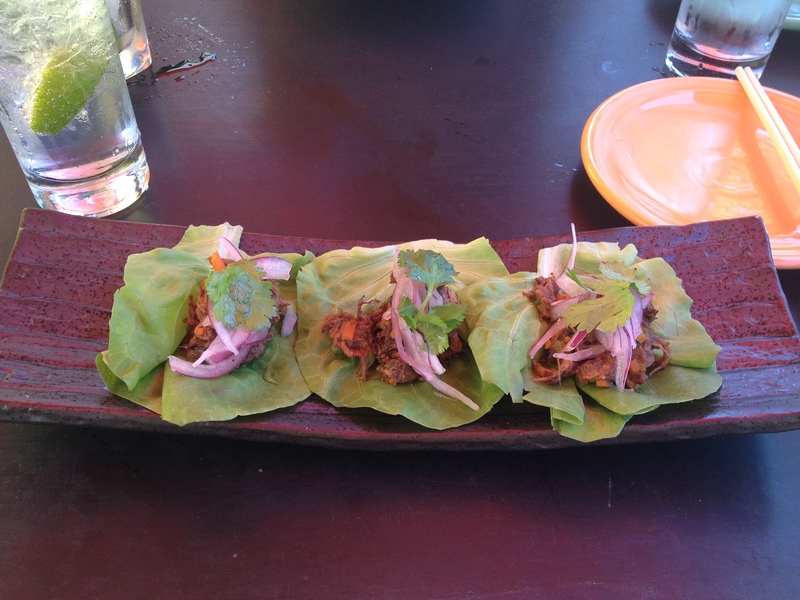 I’m lucky enough to have a foodie friend who is always down to play Restaurant Week with me! 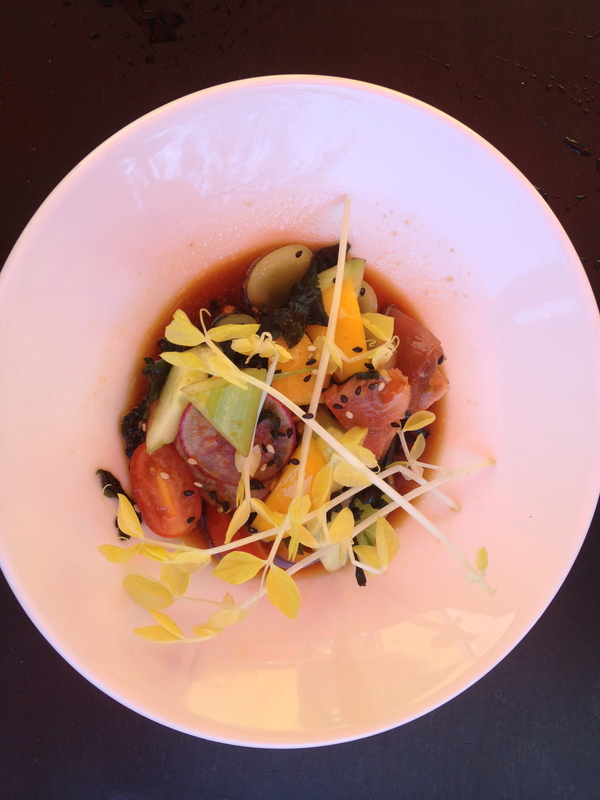 We decided to do lunch at Sushi Samba 7 in the West Village this time around. 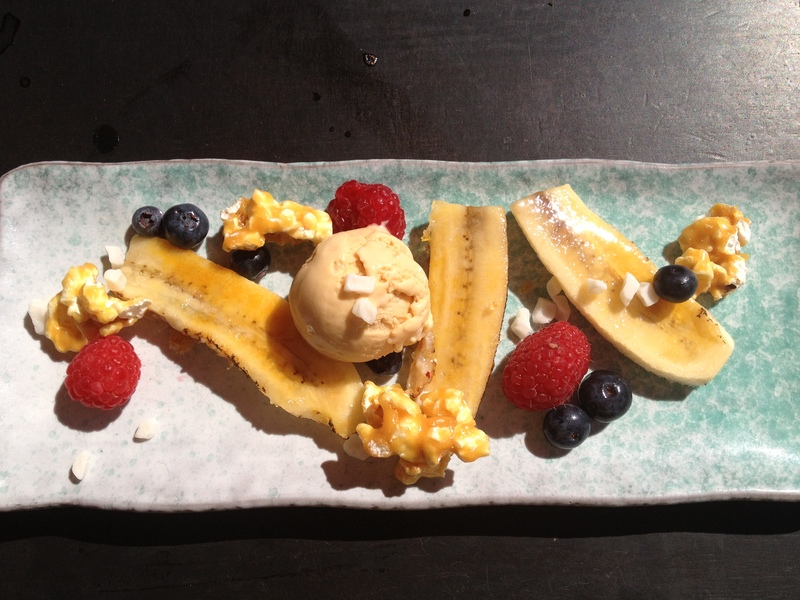 It’s only twice a year you can get a 3-course meal, specifically designed to highlight the chef’s talents, for $24. We were lucky enough to pick a beautifully sunshiny day for this fanciful adventure. We sat outside and relished being ladies who lunch. In light of this unseasonable warm day, I had to take a late afternoon stroll through Astoria. I strolled and strolled and just when I began to feel peckish, I happened upon a lovely sake bar. After a very productive day, work-wise, I decided a little treat was in order. 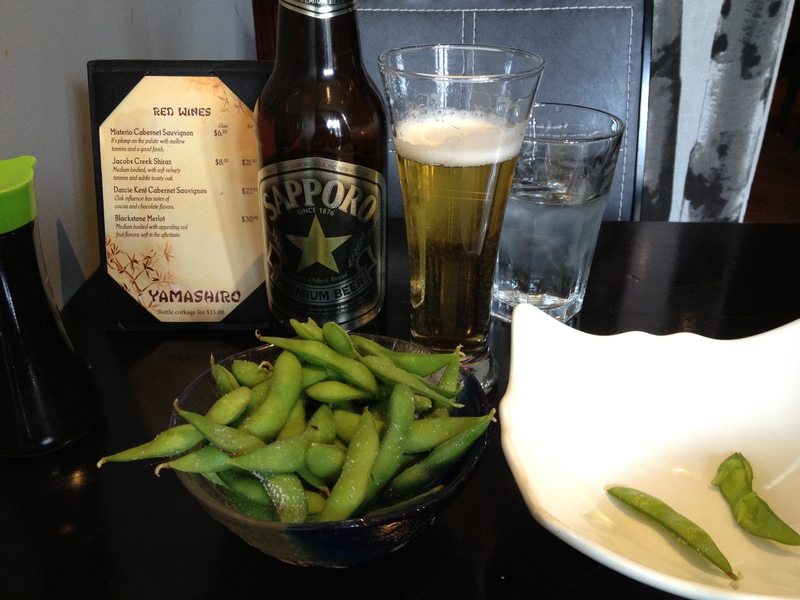 I sat down at Yamashiro Sake Bar on Steinway street and ordered a Sapporo and some edamame while I perused the menu. 3027 STEINWAY ST -- They deliver! Having only recently begun my obsession with sushi, I haven’t been overly adventurous and I didn’t figure today was the day to start. I did however choose tuna, something I don’t usually do. Of course, I only chose tuna because it was smashed between salmon and avocado (the two great loves of my life). 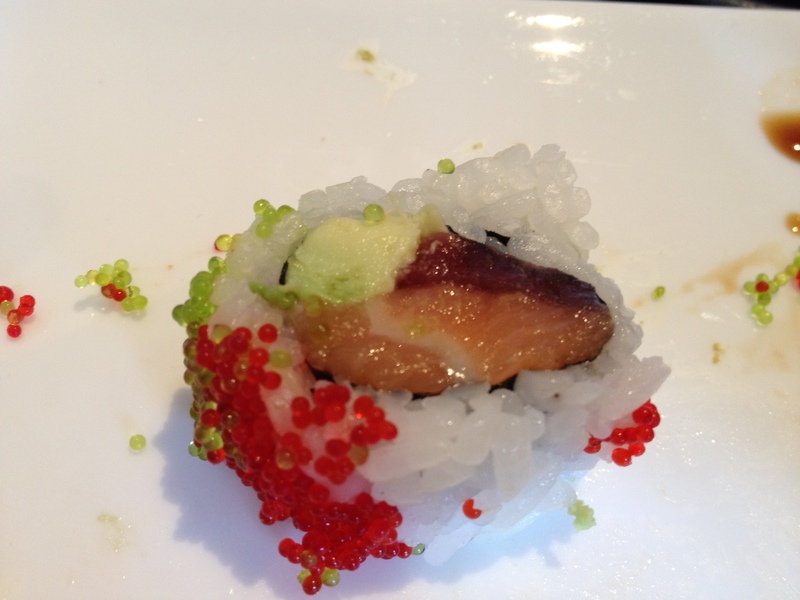 I ordered the Yamashiro Wasabi roll which, as I said, is tuna, salmon and avocado but with wasabi caviar. I’m still not sure if this is actual caviar or wasabi designed to look like caviar, but it was spicy and delicious and I’d order it again in a second. 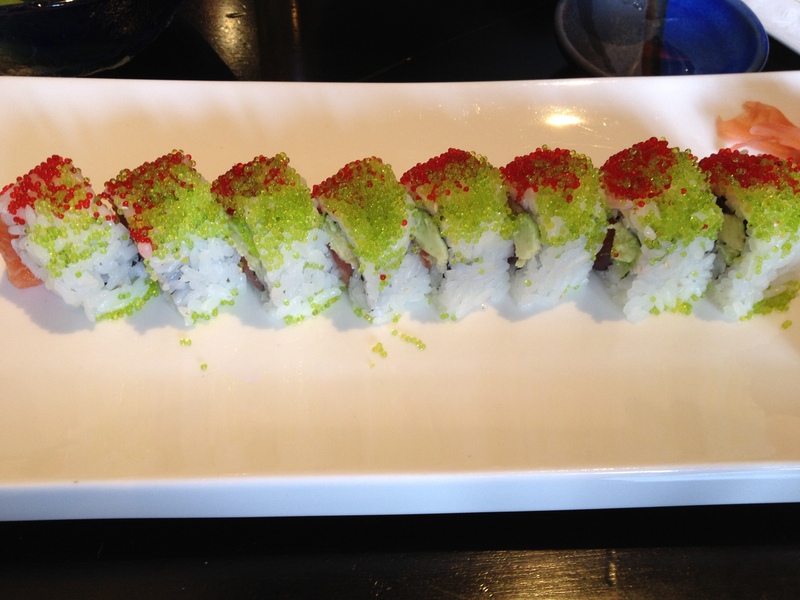 Yamashiro Wasabi Roll -- So pretty! I love the inside of sushi... so delicate. Decor-wise, the restaurant was elegant with simple black furniture and really special fish tanks. The prices were decent and the service? Impeccable. The very attentive server consistently refilled both my water and beer glass. I sat for nearly an hour reading my book and munching slowly and I didn’t feel the least bit rushed. It was the perfect compliment to this perfect day. It’s Restaurant Week again in NYC which means it’s time to TREAT YO SELF. And since, like Tom and Donna, I am a relaxation professional, I knew exactly which sense to satisfy: taste. 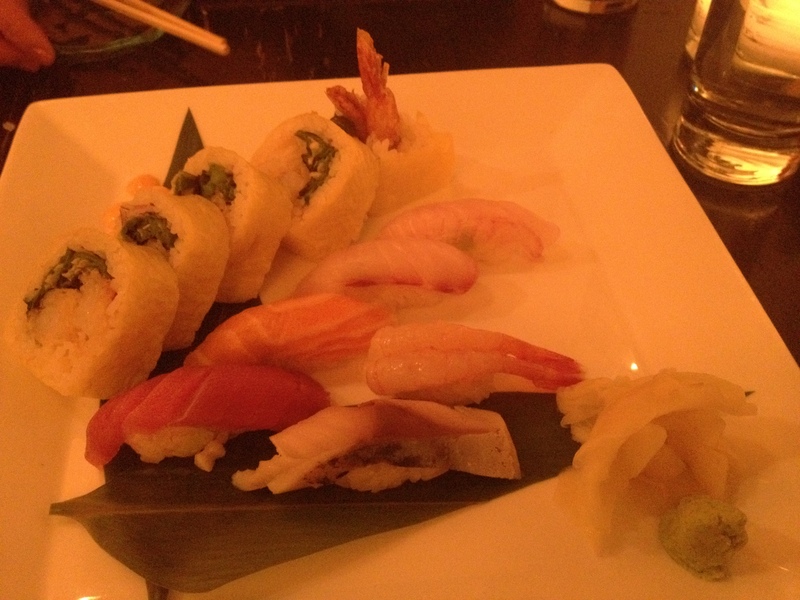 Over the last few weeks, I’ve developed a small obsession with sushi. 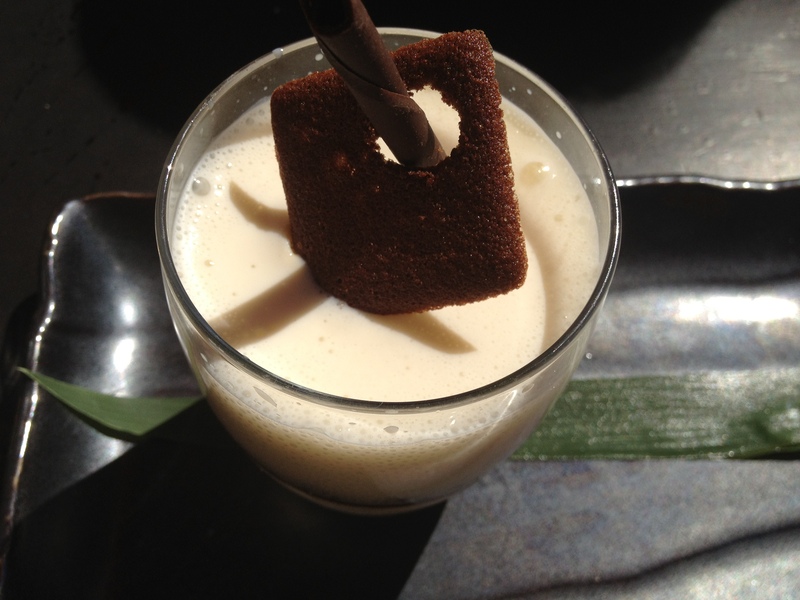 This mixed with the fact that I still miss the taste of Pisco Sours made Sushi Samba the perfect location for me and my new lady friend’s Terrific Lady Day! We met early for happy hour and girl talk and then sat down in a beautiful dining room with a presentation kitchen in the center. 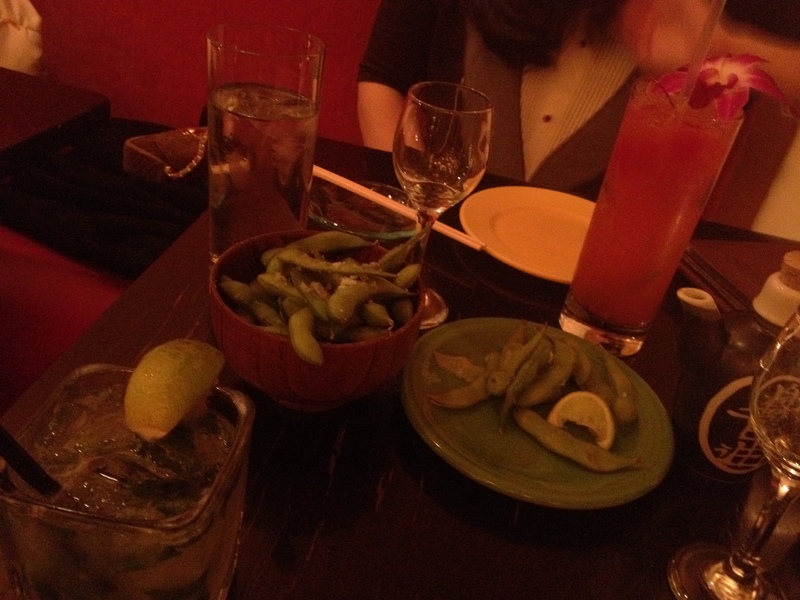 Edamame and a couple of fancy cocktails. Mine's tequila, cause I'm from Texas. Mine was queso fresco and rice croquettes, which were crunchy, warm, gooey and yumsies sauce. My lovely date is of the french persuasion, so she opted for the plum sake foie gras, which was served cold with some greens. Both were beautiful plates of food. We decided to go halfsies on the apps, and while the foie was pretty good, the croquettes really did it for me. 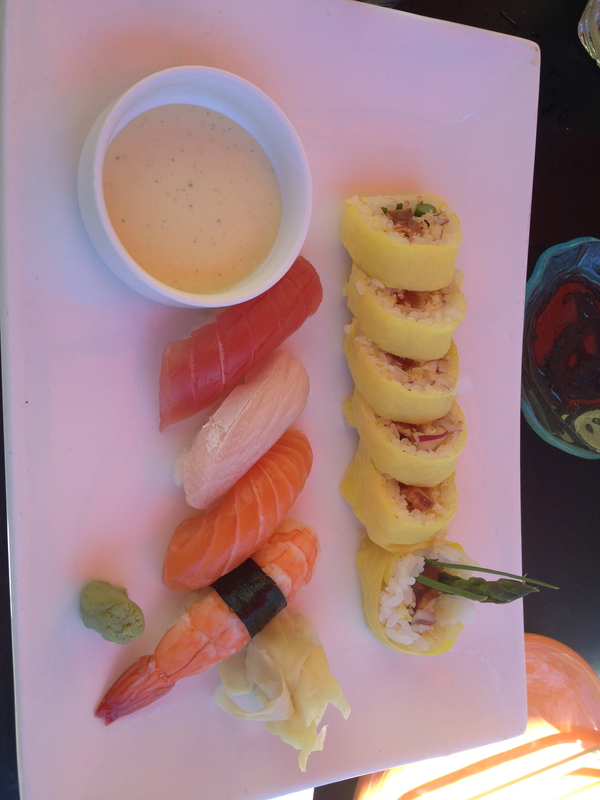 This is the sushi assortment along with a latin-fusion tempura roll. Nummy! 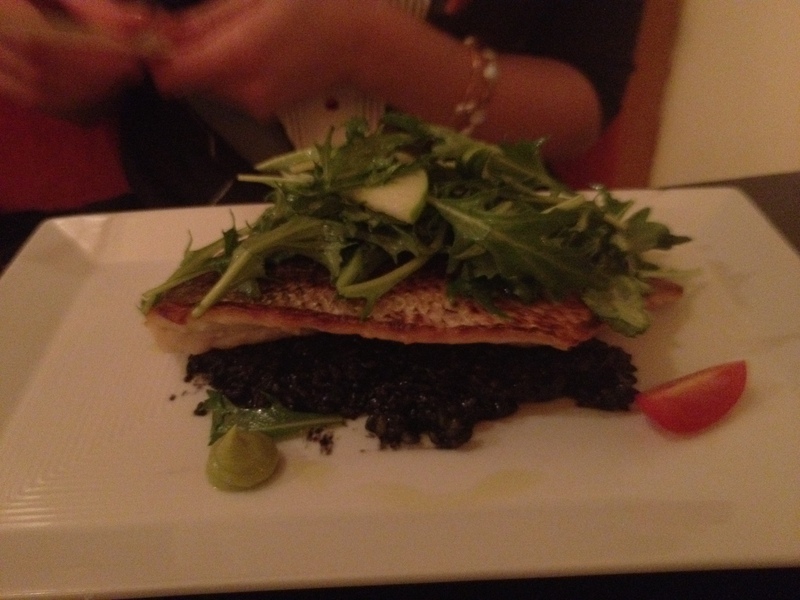 This is the seared striped bass with squid ink risotto. Clearly my date was more adventurous than I. 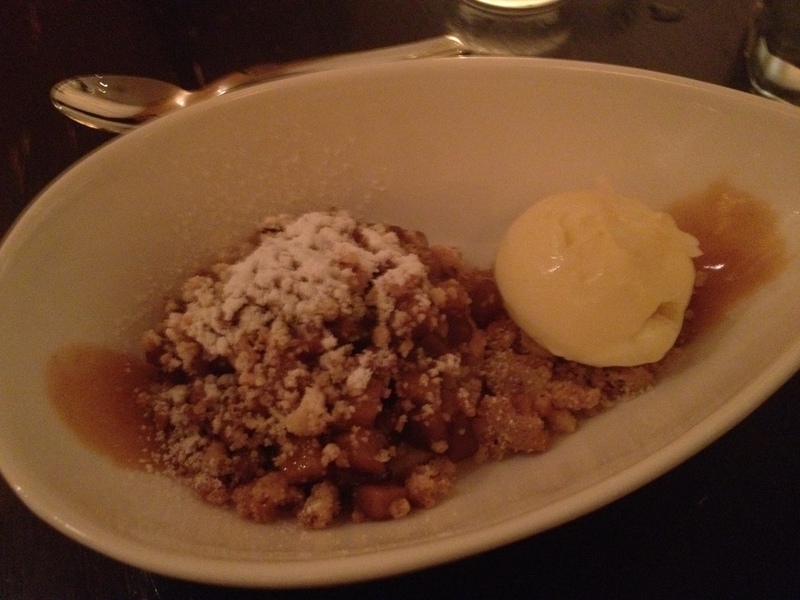 This is a ginger and brazil nut crumble with ice cream. Delish! 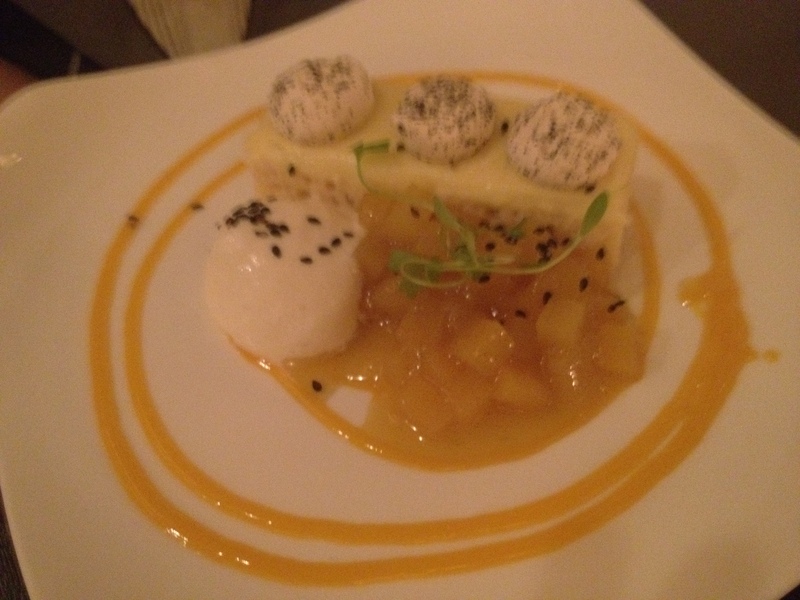 This was a tres leches cake... also quite delicious!